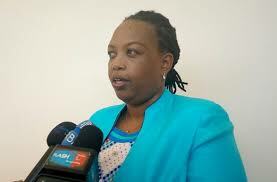 The Government of Rwanda has announced that it has ended its working relationship with global human rights watchdog Human Rights Watch (HRW) for constantly publishing reports that tarnish the image of the country. According to Ms Providence Umurungi, from the Ministry of Justice, HRW has continued to violate the Memoranda of Understanding (MoU) on always sharing with government reports that it intends to publish. Ms Umurungi said under the MoU, they had agreed that before HRW publishes a report on Rwanda, it should first discuss it with the government. “Instead, you find the reports they make are not researched, and have no proof. They rush to publish reports that tarnish the image of the country instead of recognising the efforts made in terms of human rights,” she said. “It is obvious that HRW’s agenda is something else, other than defending human rights”. Ms Umurungi said the government had so far signed three MoU with HRW since 2014 but the rights body has continued to violate the agreements. The disagreement originates from a July 13, 2017 published by HRW, alleging that Rwandan security forces had executed 37 suspected petty offenders in Western Province between July 2016 and March 2017. It also argued that soldiers arbitrarily arrested and shot most of the victims, in what appeared to be an officially sanctioned strategy to execute suspected thieves, smugglers, and other petty offenders, instead of prosecuting them. 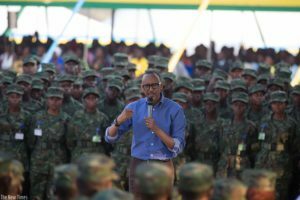 It claimed that serious violations were committed by the security forces in Rubavu and Rutsiro districts, including extrajudicial executions, enforced disappearances, and threats against family members and other witnesses to the violations. However, on October 13, 2017, Rwanda’s National Commission for Human Rights (NCHR) presented findings of its inquiry into the allegations and it disproved the claims. It found that seven people reportedly executed in the HRW report were alive; four people that HRW claimed were executed died of disease; 10 people were unknown to local authorities or residents of administrative entities where they are said to have been living; while six people died as a result of various accidents. However, in November 2017, HRW said the report by NCHR is full of falsehoods, were largely fabricated and misrepresented its work.